Note: This tour is only operational from January till March. If you are a wildlife enthusiast, then snow leopard trek in Ladakh is an excellent opportunity for you to witness some most exotic animal and bird species. 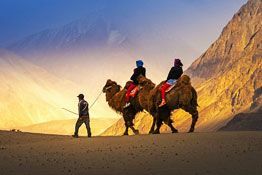 In this tour package of 10 nights and 11 days, you will be enjoying sightseeing in Leh and wildlife viewing in the Hemis National Park, located in the eastern part of Ladakh, in the valleys of Markha and Rumbak. It was created in created in 1981 for protecting the unique flora and fauna of the region. The national park is home to a number of rare and endangered animal species. You will also be visiting Rumbak village where you will enjoy interacting with the locals. On arrival, get an assisted transfer to the hotel. Relax. After lunch, you will be briefed by the Snow Leopard Conservancy staff. 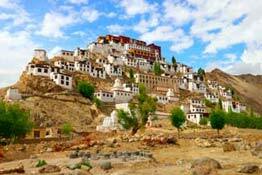 Later explore Leh and get accustomed to the high altitudes. Dinner with the Conservancy staff. Overnight at the hotel. Day 2 is booked for sightseeing of Leh. Overnight stay in the hotel. A guided walking - tour of Leh, covering the Leh Palace, the Victory Peak, and the old quarter. Visit the gift shop of LEDeG, a conservation organization working for preserving the environment and Ladakh’s traditional life. Overnight stay. Post breakfast, drive to Phey bridge. Start walking along the river Indus towards Zingchen Gorge. On an upward route is the entry to the Hemis National Park. On the way, you can enjoy the beautiful view and also look for the signs of wildlife. Camp at wildlife study camp. Enjoy a full-day of tracking of wildlife in the Hemis National Park where you can view the snow leopard, blue sheep, argali, Tibetan wolf and various migratory birds. If lucky, you will be able to spot the snow leopard or look for their foot marks. In the evening, return to the camp for dinner and overnight stay. Spend another day in the national park along with a trained naturalist. Also, enjoy the views of the landscape, the open-blue sky alpine plants and much more. Overnight at the camp. 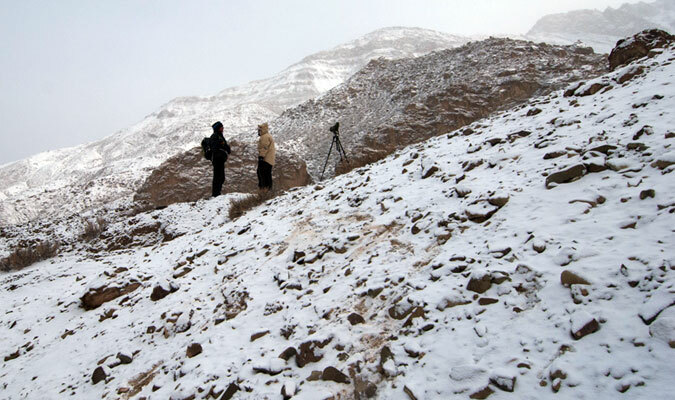 Walk towards the nearby sites where snow leopard sightings have happened recently. Visit and stay in the neighboring village, Rumbak (13,500 ft). Enjoy conversation with the locals and gather information about their livestock herding and other practices such as spinning and weaving. Spend your days tracking snow leopard and other wildlife species. Overnight in a hotel or a camp. 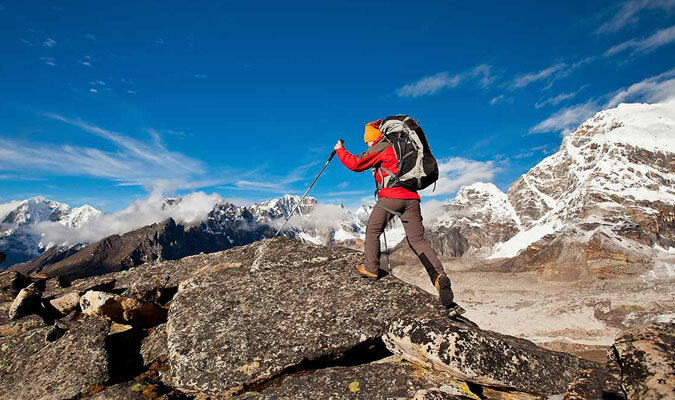 Trek down to the valley and move towards Zingchen (5 hrs). Later drive to Leh and check into the hotel! Overnight halt in a hotel.